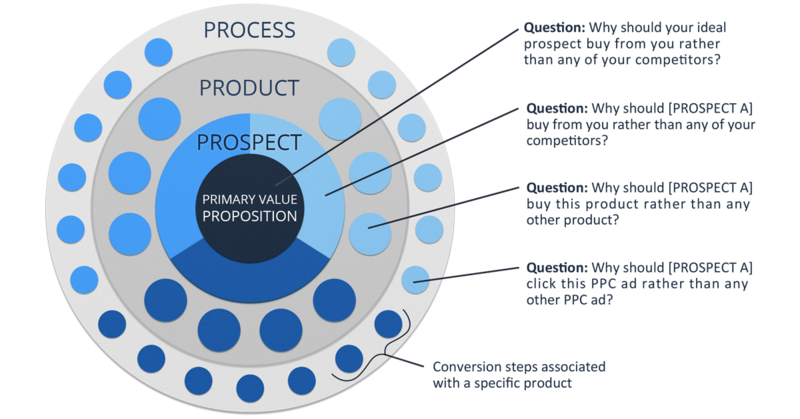 Determining the elements in your conversion process to test and optimize can be challenging. The MECLABS Conversion Sequence Heuristic is a framework of five factors on which to focus your optimization energy. It brings discipline, rigor and sustainable success to the marketing department. The Conversion Sequence Heuristic is part of a patented, repeatable methodology (patent number 8,155,995) developed by Flint McGlaughlin, CEO and Managing Director, MECLABS Institute, based on years of testing and research of real product and service offers presented to real customers. Wherein, the probability of Conversion (C) is dependent upon visitor Motivation (m), force of the Value Proposition (v), presence of Friction (f) & Anxiety (a) in the process, and Incentive (i) offsetting Friction that cannot be eliminated. The Conversion Sequence Heuristic is not an equation to solve. Rather, it is a heuristic, or thought tool (i.e., really cool checklist), to use as you work on webpages and marketing collateral. You can never guarantee conversion, but by making changes to the right areas, you can increase the probability of conversion. 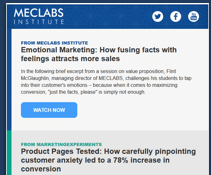 In this eight-minute video, Flint McGlaughlin, CEO and Managing Director of MECLABS Institute, teaches how this page, and pages like it across the industry, can benefit from a clear, compelling value proposition. See more optimization videos here. The Conversion Sequence Heuristic enables the marketers to achieve their task of driving people through the funnel. However, the typical marketing funnel is a flawed analogy because, in reality, gravity is working against you. People are not falling into your funnel; they are falling out. Thus, we must “invert” the funnel. 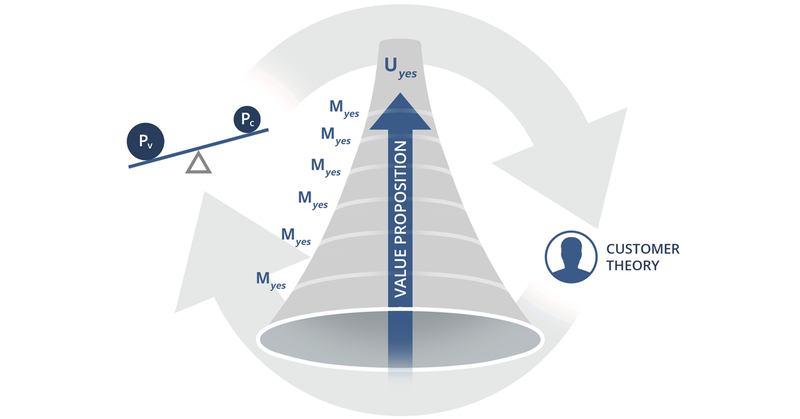 People climb up the funnel through a series of smaller decision points that require them to say “yes.” These are micro-yes(s). If at any point along the process your potential customer says "no," you will not achieve your goal. At each decision point, or micro-yes juncture, your prospects are weighing the perceived value of the action you’re asking them to take versus the perceived cost. You can use the web as a living laboratory to get more people to answer "yes." When you break marketing down, strip away automation platforms, analytics and clickthrough rates, it is essentially communicating value to the customer in the most efficient and effective way possible so they will want to take an action. You can find a deeper explanation of our methodology here. Optimization does not start with the Conversion Sequence Heuristic. It starts with determining the best objective — what is the right "macro-yes" to apply your resources to? Once you've answered this, the heuristic is a way to answer the next question: "What is the best way to achieve the objective?" What am I trying to convert them to? It can be dangerous to immediately begin working on tactics (adding, removing and changing things) before stepping back and asking yourself what the true objective you are trying to accomplish is. This approach applies skill before strategy. Before looking into motivation, value, incentive, friction and anxiety, first define what your ultimate success, or conversion, is. Maybe it’s not even your conversion rate (orders/visits) at all. Maybe you are much more successful with a lower conversion rate and a higher revenue number. Marketers have a blindspot: self-interest. They are wired to miss the mark when it comes to customer communication. The Conversion Sequence Heuristic is a methodology to remove that blindspot and see marketing collateral through the eyes and understanding of the customer. Motivation Who are you optimizing for? The numbers in front of the different elements of the heuristic indicate how much they impact the probability of conversion. All of the elements do not hold equal weight. The motivation of the user is the single most important factor affecting conversion. Motivation of the user is also the only element of the Conversion Sequence Heuristic that you cannot change. It is intrinsic to your potential customers. Where is your customer in the thought sequence? What conclusions does your prospect need to make before buying? What are their pain points? What do they value? Once you’ve removed friction & anxiety and increased the force of your value proposition, you can use motivation to maximize the effectiveness of your marketing message with segmentation. Your value proposition is the answer to the question, “If I am your ideal prospect, why should I buy from you rather than any of your competitors?” This requires you to differentiate from those of competitors. Where "appeal" and "exclusivity" meet is your “only-factor.” Marketers can improve their messaging efforts by clearly communicating (clarity) the “only-factor,” or the value your company and product or service provides that customers can’t get elsewhere. Highlighting the appealing and exclusive aspect of your offer in your value proposition and messaging illustrates why prospective customers should buy from you, rather than any of your competitors. In any conversion process, there are cost factors that go beyond the actual money spent on a product or service. Friction is one of the cost factors (indicated by the minus sign in front of the letter “f” in the Conversion Sequence Heuristic). Incentive is a positive element in the heuristic which is used to offset any friction that you cannot eliminate. The key to incentive is choosing one with a high Perceived Value Differential (PVD) — the difference between the perceived value of the incentive and the actual cost of the incentive. Anxiety is the concern ideal prospects have that the checkout process might not be secure or that your product might not actually deliver on its promises. Anxiety can stop website visitors in their tracks — the back button makes it ultra-easy. Thinking of their concerns in rational terms may not help you either. Specificity – In order to counteract customer anxiety, you must first identify the source of the anxiety and effectively address each concern. Depending on the website, different sources of anxiety will arise for the visitor. The source may be quality, reliability, price, security, etc. Proximity – After you’ve found a way to specifically address every source from which a customer could experience anxiety, you have to figure out where to place these anxiety reducers on your page. Proximity is about placing the corrective measures you formed with specificity in the place where a visitor will experience them simultaneously with the source of anxiety. Intensity – The intensity level of corrective measure must address two things: the substance and perception of the concern. The substance requires you to address the rational foundation of an anxiety source on a realistic view of risk.